View our complete range of STIHL & Husqvarna chainsaw chains, files and filing kits, now all available with free delivery (restrictions apply). This is a high quality, genuine 12 inch Husqvarna chainsaw chain, with a chamfer chisel low kickback cutter ideal for light saws. A low profile chain with 45 drive links. This genuine Husqvarna 14 inch chainsaw chain has 52 drive links and is suitable for an array of models. It has a chamfer chisel low kickback cutter design ideal for saws up to 40cc. 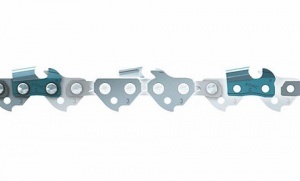 A genuine Husqvarna chainsaw chain, this is the ideal part for giving new life to your machine. A semi chisel cutter design makes this chain well-suited to 50-60cc saws with a 15 inch bar. 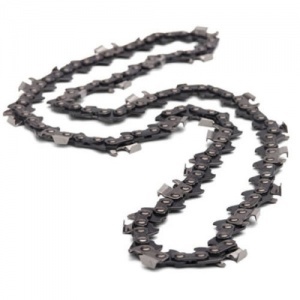 A 16 inch genuine Husqvarna chainsaw chain with 56 drive links, this is a high quality spare part with a 3.8" pitch and .050" / 1.3 mm gauge, ideal for saws up to 40cc. 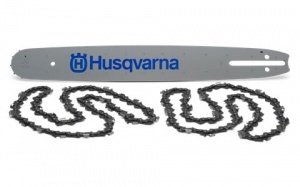 An 18 inch chainsaw chain from Husqvarna, ideal for replacing a worn part on your existing saw. This model has a pixel - semi chisel cutter design and has 72 drive links. Ideal for replacing your existing chain, this is a 20 inch genuine Husqvarna chainsaw chain featuring a semi-chisel cutter design and recommended for 50-60cc machinery. With 80 drive links. 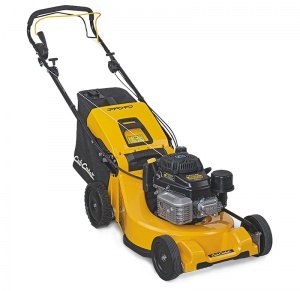 This is a genuine Husqvarna pack featuring one 15 inch bar and two chains with a .325" pitch and .058" / 1.5 mm gauge, suitable for a range of Husqvarna saws. Enjoying the benefits of STIHL's Picco Micro 3 design, this saw chain is ideal for light and compact saws, with low vibration, high quality cutting. This is a 10 inch genuine STIHL chain. A 12 inch saw chain benefiting from the Picco Micro 3 design, this genuine STIHL part is a great choice for light, compact saws, giving high quality cutting with low vibrations. A 12 inch Picco Micro 3 saw chain from STIHL, it offers low vibration, high quality cutting with less kickback, designed to make compact and light chainsaws a pleasure to work with. Designed to fit many 12 inch STIHL chainsaw models, the Picco Micro Mini 3 chains allow for low-vibration, high convenience and high quality cutting performance, perfect for occasional users or wood carving. A 14 inch Picco Micro 3 chainsaw chain from STIHL that is ideal for compact and light saws, offering low vibration, low kickback operation for top-quality cutting & easy operation. Boasting low vibration, high quality cutting performance, this Picco Micro Mini 3 chain from STIHL is ideal for wood carving or occasional use on a range of 14 inch saws. This sixteen inch Picco Micro 3 saw chain is designed for light and compact chainsaws, providing low kickback, low vibration, high quality cutting that's easy to work with. This Rapid Super saw chain from STIHL has 62 drive links, suitable for a range of 15 and 16 inch chainsaws, offering low vibration and chatter with smooth cutting performance. A genuine STIHL Rapid Super chainsaw chain designed for 16 inch machines, this is a high performance chain for professional applications, with low vibration and chatter and smooth cutting performance. 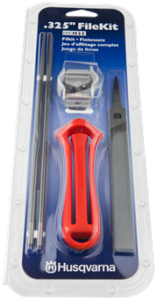 For simpler and more effective maintenance of your chainsaw chain, this filing kit includes a file handle, combination gauge, 2 round files and 1 flat file for .325 inch pitch PIXEL chains. This all-in-one filing kit includes everything you need to perform easy and effective filing of your chainsaw chains for optimum performance. Suitable for .325 inch pitch chains type H25. A filing kit that includes a file handle, combination gauge (or file and depth gauge), two round files and one flat file. Ideal for 1/4 inch pitch H00 chains. Representing an easy way to get the best from your chainsaw, this filing kit has all you need to ensure maximum performance and safety from your existing chain. For 3/8 inch pitch Mini chains. 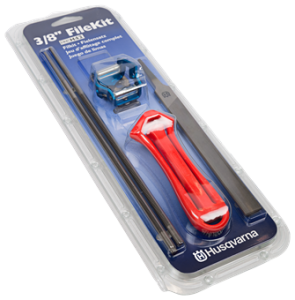 A great value kit containing all that you need to effectively and efficiently file your Husqvarna chainsaw chain, this pack includes a file handle, combination file gauge, two round files and one flat file. This kit comprises of a file holder and round file (4.0 mm diameter), for use with 1/4 inch and 3/8 inch P type chains. Ideal for keeping your saw chain in top condition. This is a file holder with round file (4.8 mm diameter), perfect for keeping your saw chain well-maintained and performing to its best. Designed for 0.325 inch saw chains. The ideal kit for keeping your 0.404 inch saw chains in perfect condition. Containing a file holder and round file (5.5 mm diameter), this is ideal for maintaining your chain. To help with saw chain maintenance, this file holder with round file (3.2 mm diameter) is ideal to keep your chain sharp and in top condition. Designed for 1/4 inch P type chains. This file kit, comprising of a file holder and round file (5.2 mm diameter) is perfect for keeping your 3/8 inch saw chain in perfect condition. This filing kit comes with a file holder and round file, flat file and file gauge, as well as a sturdy case to keep it all in. It is suitable for .404 inch chains. 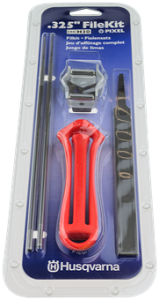 This file holder with round file, flat file and file gauge, supplied in a sturdy case, provides a complete saw chain maintenance kit for discerning owners. Suitable for 1/4 inch and 3/8 inch P type chains. Supplied as a file holder complete with round file, flat file and file gauge in a robust case. This kit is designed specially to be used to sharpen 1/4 inch P type chains. A complete saw chain filing kit for use with 3/8 inch chains. Contains a file holder with round file, flat file and file gauge, complete with a sturdy case. Perfect for use with STIHL files and holders, the FF1 file holder guide is particularly easy to use and offers very precise guidance. Ideal for regular and occasional users, for professional chain sharpening. 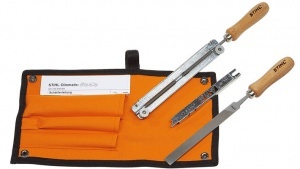 This is a very precise file guide, excellent for use with STIHL filing kits. 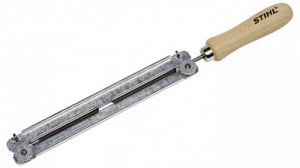 It is easy to handle, with little effort required, while providing professional-quality chain sharpening. For 1/4 inch P type saw chains. 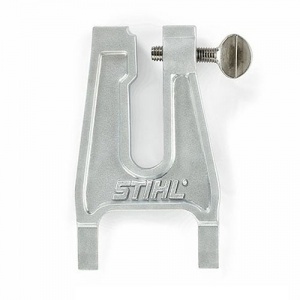 Ideal to help ensure accurate chain sharpening, this file holder guide is the perfect complement to a STIHL filing kit. Designed for 3/8 Inch Picco saw chains. An easy to handle, very precise file guide that provides professional chain sharpening for regular and occasional users. Designed for 3/8 inch P Mini type saw chains. 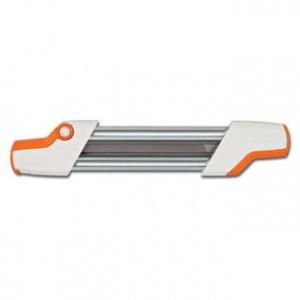 This STIHL file holder guide is the perfect complement to their filing kit. 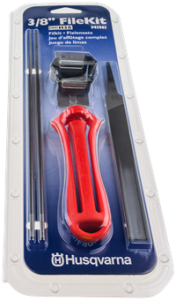 It is easy to handle with minimum effort, providing professional chain sharpening for regular and occasional users. Please note: File not included. A lightweight and convenient filing vice that even comes with a practical holster. 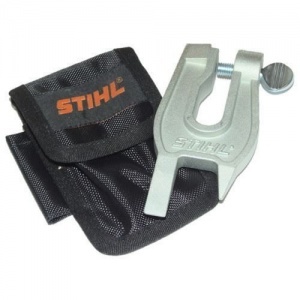 It is easy to drive into the wood and fix the guide bar, and is a genuine STIHL accessory. This large, heavy-duty filing vice from STIHL allows you to easily drive into wood and fix the guide bar, making maintaining your chainsaw easier than ever.